Finally here in the big town, Rio de Janeiro. No more massive bus rides (in south America) anymore. There is an insane amount to do here aswell, and I would want to do it all, buuuuuuut... My budget hasn't really repaired since New Zealand, the busses aren't that cheap here. Hang gliding is pretty high up on the list, but tomorrow I'm getting to Ilha Grande, where apparently one of the top 10 beaches in the world according to Vogue. Rio is quite cool though, especially the fact that they have a All you can eat BBQ tonight! That and the fact that normal bikinis are apparently considered equal to "grand-ma bathing suits" here. 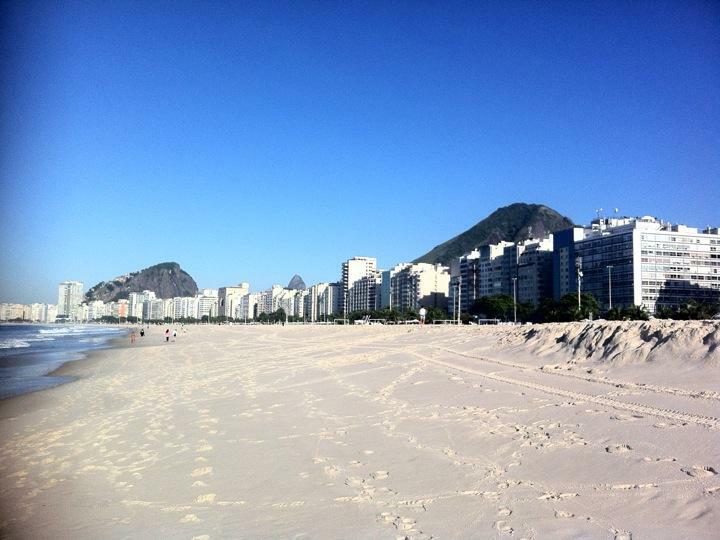 One the downside: I've never felt so out of shape as after a short visit to Copacabana. Now comes the pickup to Ilha Grande, signing off!